On 3rd January 2018 Pakistan tested Anti Ship Cruise (ASCM) missile called. This missile was fired from Pakistan Navy’s Azmat Class Fast Attack Craft. Missile hit the target accurately. After watching the video below we can analyze that missile can easily hit the small target. Pakistan Navy HARBA Missile ASCM Anti Ship Cruise Missile. 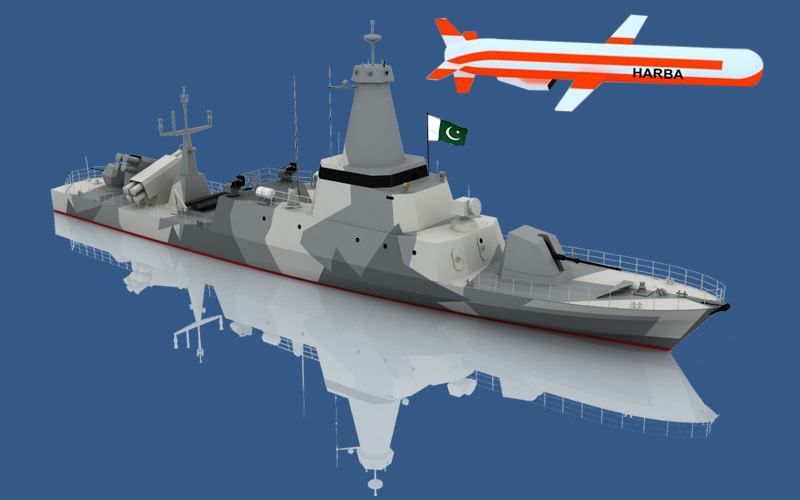 Pakistan Navy Harba Anti Ship Cruise Missile ASCM from Mehran Post on Vimeo. The name of this Anti Ship Cruise Missile is HARBA. Harba Anti Ship Missile is completely manufactured by Pakistani scientists. Harba Missile is from Babur Cruise Missile series. At yet it is not confirmed that this missile is like Babur 2 or similar to Babur 3. Pakistan Navy HARBA Missile ASCM Anti Ship Cruise Missile. Remember that Harba missile is not only an ASCM but it have also a capability to hit the enemy’s installations from ground. 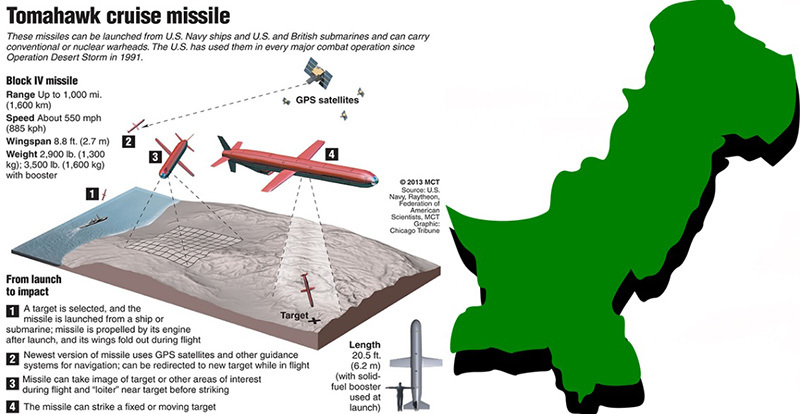 If we look towards the Babur 2 missile, we see that it have a capability to launch from the ground and Babur missile can hit the enemy’s target on sea and ground both. Therefore in a sufficient manner Harba missile’s efficiency match with Babur 2 missile. Pakistan Navy HARBA Missile ASCM Anti Ship Cruise Missile. The range of Babur 2 cruise missile is 750 kilometers and Pakistan Navy wanted to fire this long range missile not only from ground but also from sea via Pakistan Navy frigates. Therefore to fulfil this need Pakistan manufactured the Harba Missile. The missiles which fires from ground can be equipped with Atomic war heads but those missiles which hits the enemy’s target in sea can use traditional weapons. Therefore it is possible that Harba Missile is a second version of Babur 2 Missile which is designed to launch from sea. Pakistan Navy HARBA Missile ASCM Anti Ship Cruise Missile. We do not got more information from Pakistan Navy about Harba Missile but we can estimate that the range of Harba Missile is more than 500 kilometers. If we see the video than we can estimate that Harba Missile uses latest avionics system and it is made possible that Harba Missile can hit smallest target accurately. Pakistan tested this Harba missile when America threatened continuously to attack Pakistan in recent days, and according to Defence analysts America will attack Pakistan with the help of India. After understanding this circumstances the civil and military leadership of Pakistan took very important decisions and agreed on this point that if India or America attack on Pakistan than Pakistan Army will answer firmly. It is possible that American Navy will be used for this attack and defence analysts also exposing the possibilities of Tomahawk missiles attack. Recently before banning for three months on TV senior TV anchor, Dr. Shahid Masood told in a TV program that by using American Navy America will hit important places with Tomahawk missiles. Remember that American Navy used Tomahawk missiles on the Syrian air bases, which destroyed Syrian fighter jets. In our opinion Pakistan Navy tested Harba missile by feeling the threats of this type of attacks. Harba Missile test is not only a test but it is also a message from Pakistan Navy to American Navy, and the message is: American Navy will get heavy loses if they have any intention to attack Pakistan. Now the question is that, why America and India wants to attack Pakistan? The answer is, that both countries don’t digest China Pakistan Economic Corridor (CPEC), and both countries don’t wants that economical conditions of Pakistan become strong and by making a special plan both countries purchased some black sheep from civil leadership of Pakistan who took heavy loans from IMF and due to these loans Pakistan’s economy is crushed. CPEC is an important solution which can easily take out Pakistan from this difficult economic situation. CPEC will play vital role in making Pakistan’s economy stable and strong which America and India don’t like, therefore both of these countries wants to destroy CPEC and for this reason they want to create war atmosphere in Pakistan.